Crash Co: Additions, Features, and Refinements (oh my)! By Besus | August 20, 2015 - 1:33 pm | December 18, 2016 Crash Co.
It’s been about a month since my last (big) progress update and suffice to say, I’ve made a number of updates and improvements. First of which, a new world map (literally) with a rotating planet earth which the player will use to select their next destination. 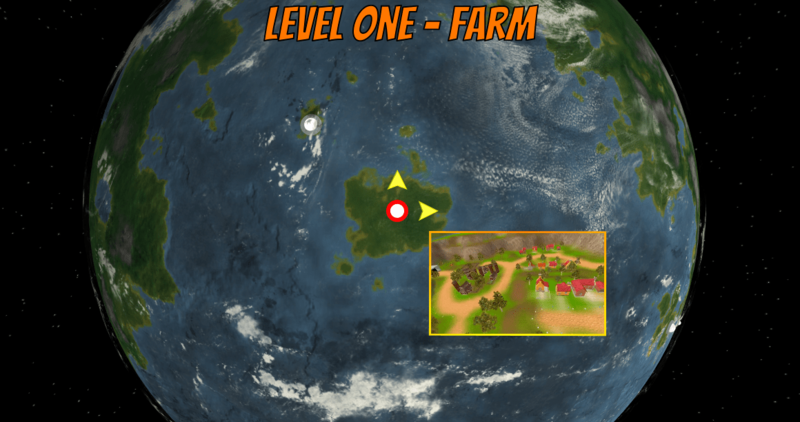 Nodes unlock (and secret ones reveal themselves) when levels are completed (or secrets are found) and a preview video showing a looping flyby of the currently selected level plays. With the world map in a near finished state, I wanted to focus back on the gameplay. 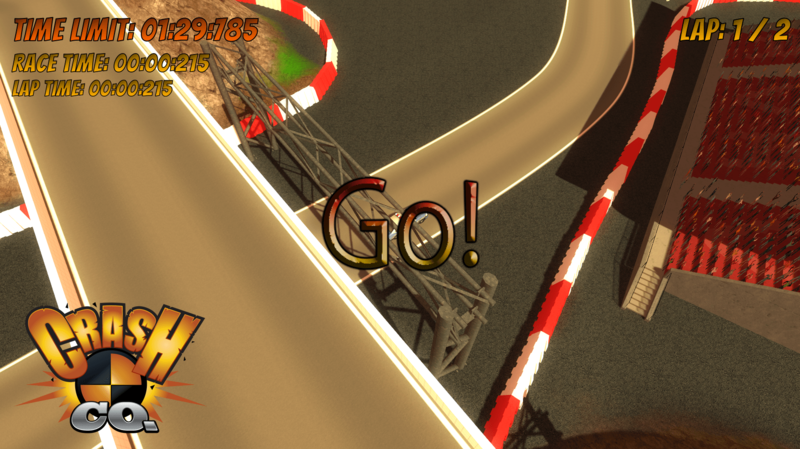 I always knew that wanted to have racing levels (akin to Blast Corps) so I started the foundation for them early on, but I wrapped up the time limits/lap times/race times/best times/etc so they are fully functional. The only item left for it now is whether I want the player to be able to choose the vehicle they want to attempt the course with. Lately I also found myself revisiting some old Playstation games, among which was Destruction Derby 2. While I remember not being in love with the game, it certainly carries some nostalgia with me today. That being said, what’s not to love about Destruction Derby’s? Crashes, collisions, destruction; much like the foundation Crash Co is built on. 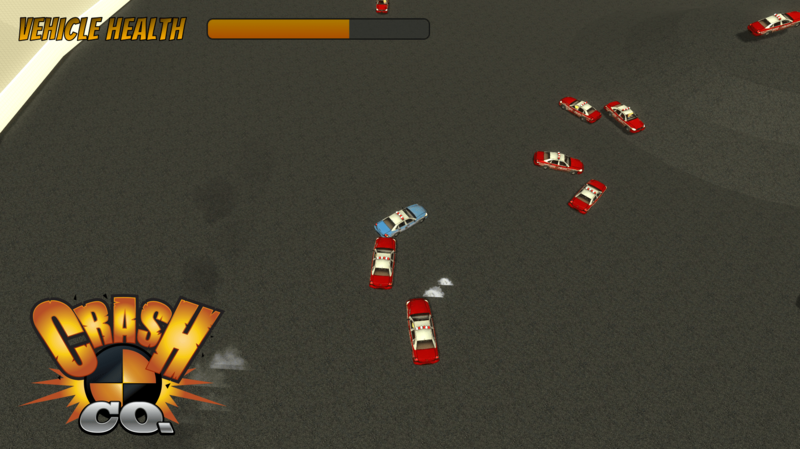 It just made sense to put them together, so I worked up some AI for the vehicles and voila: a destruction derby mini game was added. With gameplay progressing nicely, it was time to focus a bit more on the visual appeal. 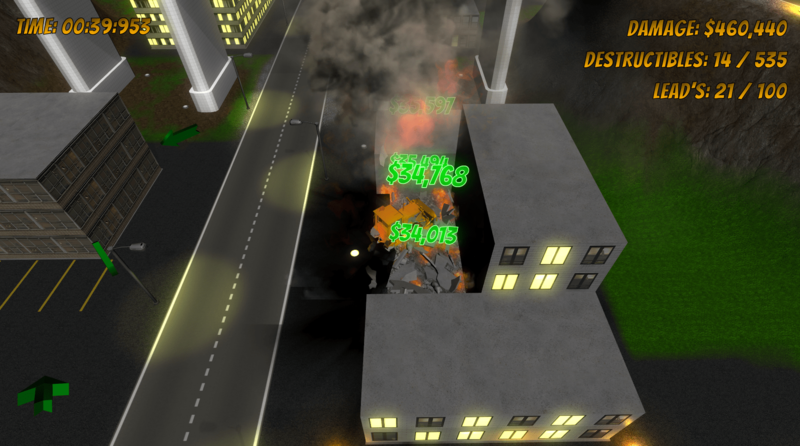 While I was satisfied with the explosions of buildings, I felt they needed something else; something to let you know you made an impact. So I decided to add some feedback in the form of a mini UI pop-up to show how much monetary damage was done. While I’m not quite sure what (or even if) I’ll let the player use the money to unlock or purchase things, for now it can just be boasted as if to say, “yeah, I really tore things up and caused $X in damages”. Finally if you haven’t already noticed, I have updated the graphics for the game (both here as well as on my blog and social media sites); foremost of which is a new logo (which you can see on the newer screenshots)! Tagged Blast Corps, Crash Co, Progress, Update. Bookmark the permalink.